KMS produces Insert Ball Bearings made from 316 stainless steel for raceways and balls. They feature a deep ball groove construction and a polymer cage. 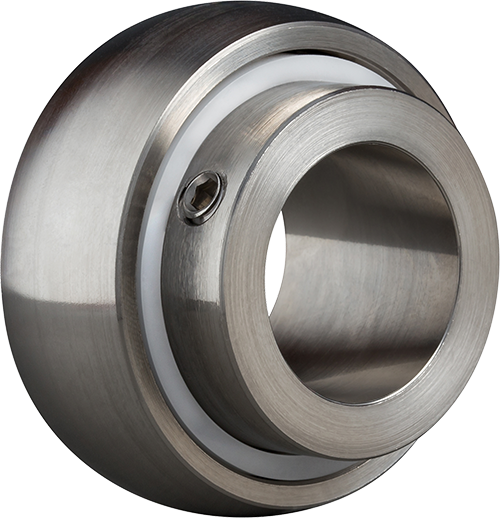 They are specifically designed to provide superior corrosion resistance when compared to conventional 440C stainless or steel insert bearings. For lighter load applications please see Plastic Insert Ball Bearings.